On October 7, 2016 the AFL confirmed that it had finalised its purchase of Etihad stadium for an unspecified amount of money, however a number of reports guess the figure to be at between $150 million to $200 million. As a result of the purchase the league and clubs expect to be able to offer better stadium deals to long suffering Docklands based clubs who have often complained of poor returns. The stadium has consistently returned multi million dollar operating profits since 2013. (6.1 million in 2015). These have been offset by big debt repayments in the order of 18-24 million a year on a 200+ million debt. The Stadium has also paid 4.6 million annually to AFL clubs since 2009. Given the AFL is likely to have used some, if not all of the $89 million in its Future Fund for the purchase, its unlikely the league has incurred as much of a debt burden in its purchase. The Clubs most affected by the purchase are the Etihad based clubs – North, Bulldogs, Saints, Blues and to a lesser extent Essendon. Melbourne Victory also has a deal, but its not due to expire until 2025. Melbourne Renegades signed a 5 year deal in July 2016. Currently the Etihad clubs take home about 37% of football related revenue, as opposed to 41% at the MCG. If returns can be lifted to 50% or higher, then the chances of clubs being beholden to the AFL for their survival through handouts becomes much less, and other clubs would view playing at Etihad much more favourably. For that to happen the league needs to find at least 10 million in the Etihad purse every year. The AFL believes it could make immediate savings at the stadium by taking over back-office functions such as marketing, ticketing, human resources and event management. The AFL already receives pourage and some signage rights at the stadium – distributed to home clubs along with varying percentages of admission fees and box revenues. Etihad Stadium is the beneficial owner of several key businesses and assets associated with Telstra Dome, including the Medallion Club, Naming and Advertising Rights. MSL is also entitled to the economic benefits associated with the operation of Telstra dome including car parking, ticketing, event hire, food and beverage, corporate suites, functions and Axcess One football memberships revenue. Another way the league could add income woould be by shifting mid range games (30-40,,000 attendance) to Etihad in exchange for some of the lower drawing games. This would also solve the problem of non victorian sides not playing enough at the MCG. The MCG contract requires 46 games, including 14 Collingwood home and away matches, and the top 12 drawing matches, as well as 10 finals every 5 years including the Grand Final. The AFL has an attendance guarantee of 1.5 million. In 2016 it was 2.08 million so theres some room to move, and the AFL would stand to make more from these games at Etihad where it now gets 100% of the revenue, as opposed to the MCG where it only gets 68.9% (and the clubs only 41%). 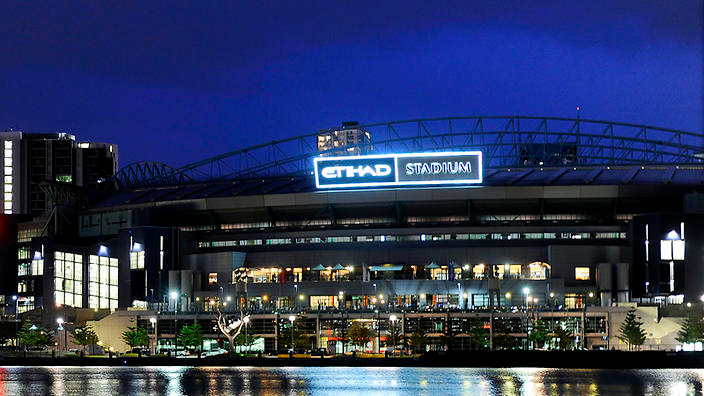 28.04.2015 – Etihad Stadium parking: does it cost too much?